China is set to relocate eight Yangtze finless porpoises which are currently considered critically endangered. Poyang Lake in Jiangxi Province is home to almost half of the surviving finless porpoises, which the government hopes to help increase in number. The mammals will be moved to a location far away from humans, in the hopes that they will repopulate and not suffer the same fate as the Baiji dolphins, which were officially declared extinct less than a decade ago. Porpoises are often nicknamed ‘underwater pandas’ in China due to their smile and cuddly appearance, which guests on Yangtze river cruises have the opportunity of spotting. However, there are now approximately only 1,000 finless porpoises remaining, meaning that the mammals are expected to survive less than ten years if no action is taken. The WWF has reported that this could happen even sooner, as the population is currently dropping by almost 14 per cent each year. It is thought factors such as industrial and agricultural pollution, which impact the river system, as well as changes to their habitat, are making it difficult for the mammals to find food and reproduce. As China’s culture seeks to find harmony between people and nature, the conservation of these endangered mammals is extremely important to the country and to its attraction as a popular holiday destination in Asia. 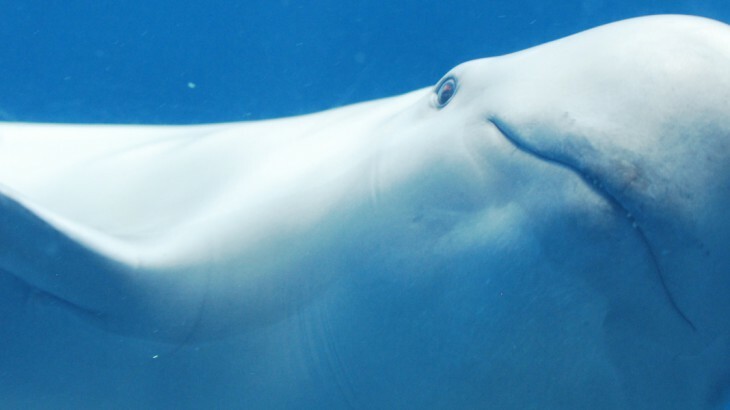 Due to this, the Chinese government plans to move four of the porpoises to a new habitat seasonally connected to the Yangtze by the end of March. The other four are hoped to be moved to the Tian-e-zhou oxbow later in the year, in hopes of boosting the genetic diversity of its already existing population, which already has an active porpoise community. Alongside this, the WWF has also teamed up with local officials in order to put together a strategy to provide areas allocated for fishing, which do not jeopardise the environment. Cruise the Yangtze River on your holiday to China with the UK’s leading China Experts, Wendy Wu Tours. Our award winning escorted, fully inclusive tours visit all the major sights of China for an unforgettable holiday.